Many shelters and animal rescue groups use “free to good home” advertising to attract people who are then enticed into adopting a purebred puppy at market price or more. Newspaper and online advertise “free to good home” to attract people who are then enticed into adopting a dog, oftentimes paying as much as a purebred dog would have cost. Even though it may be a mutt, mongrel, cross-bred, or designer dog (depending on who is pitching the sale) there is usually a substantial "adoption fee." Rescue can be a profitable business. The Parsippany NJ shelter is reported to have confiscated and killed a cat whose owner brought her in to be spayed. We are unable to substantiate police reports made by the cat's owner but there is an overall ring of truth to the statements attributed to the shelter intake employee. We tried to obtain comment from the Parsippany Troy-Hills Police Department but they declined to speak with our reporters and have not returned our calls. 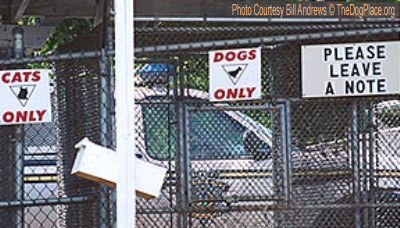 Dallas Animal Services division manager Kent Robertson resigned in 2010 after we reported on the felony indictment of Tyrone McGill, who managed the Dallas Animal Shelter. McGill was charged with felony animal cruelty in connection with the deliberate death of a cat. 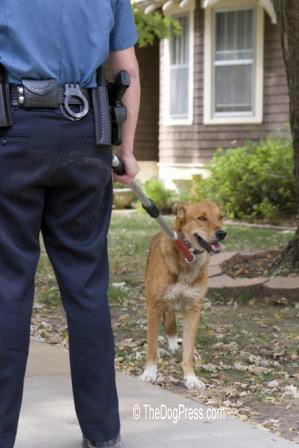 Private “charitable” rescue organizations have also been convicted of animal abuse. In the Manassas, VA case, Sandra I. Cortes, 44, president of Assisi's Animal Rescue Foundation, was found guilty on 27 counts of animal cruelty. Brenda E. Dodson, 30, a caretaker with the foundation, pled guilty to 27 counts of animal cruelty. She was sentenced to 18 months in jail and 20 years of supervised probation. Prosecutor Sandra R. Sylvester said Cortes was running "a puppy mill" aimed at turning a profit, not helping animals. She said the animal rescue "foundation" obtained free dogs from out-of-state and then sold them locally for up to $300 each at adoption events, all the while neglecting their care. "She (Cortes) wants you to believe this was all philanthropic," Sylvester said in her closing arguments. The dogs "were so hungry, they were eating dirt because it contained the remains of dead dogs." CHESTERFIELD, S.C. - 38-year-old Pageland resident Frankie Bowers was assigned to the Chesterfield County Animal Shelter in January to work off $1,000 in back child support. Bowers says he witnessed the shootings of about 40 dogs and at least 15 cats even though the county adopted a lethal injection policy about a year ago. FOX Charlotte's Morgan Fogarty asked Bowers, "Did you ever see them, during your time there, ever lethally inject an animal?" Bowers says, "No. Never. Not one time." Bowers said he was instructed to feed, water and clean the animals. It was also his job to take a front-end loader over to a dirt area across the street and cover the dead animals with dirt. He found one dog still alive. Bowers says, "The dog was still sitting up on it's haunches and it was bleeding everywhere and they done (sic) shot him in the head a few times and the dog was still alive and he was in misery and you could tell he was suffering." According to Bowers, the cats fared no better. "If they (the county employees) couldn't catch them (the cats), they would hit them over the head to knock them out." Fogarty asked, "With what?" Bowers reply: "A pipe." 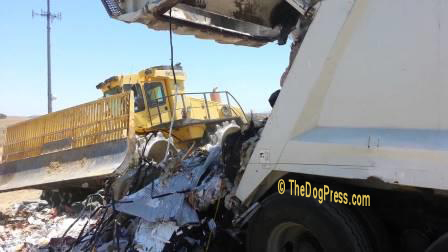 The Department of Health and Environmental Control classifies the dumping area as an "un-permitted landfill" but TheDogPress.com is told the dumping of animal bodies has not been allowed for years. A DHEC spokesman admitted that directive was "lost" when the shelter was transferred to the sheriff's office several years ago. DHEC says they reminded them this week, telling FOX Charlotte, "We met with Chesterfield County officials on Monday and advised them that they need to begin disposing of dead animals in a permitted landfill immediately." On Tuesday, Sheriff Sam Parker said, "We've already been notified that we've gotta stop putting them in this location and so we're gonna move to another county." Fogarty asked, "When will that happen?" Parker replied, "Hopefully once everything is established, we're gonna do some new procedures and hopefully by April or May of this year, we'll begin that." Bowers says he's worried about retaliation for speaking out but he's even more worried that he and other inmates who worked at the shelter will be blamed for shooting the animals. He shrugs, then said it would be impossible. "If it is, they need to check into something because how would inmates be standing out there with guns?" We called the Sheriff at his office and on his cell phone. He did not return our calls. We also reached out to the four men who are still on administrative leave while SLED investigates. No one replied. Animal cruelty cases are on the increase in an increasingly cruel world. We are thankful for the animal rescue groups and shelters, both private and tax payer funded, that do shelter and protect animals. As the economy squeezes ever tighter, many people are giving up the family pet or through misguided love, keeping animals for which they can no longer provide. We implore readers to visit local animal rescue and/or shelters. That may be easier said than done as many keep impossible hours. While some shelters are 100% volunteer efforts, most are not. If a shelter is not open on a daily basis and especially on weekends (when most people would take the kids and to see about adopting) consider them suspect. 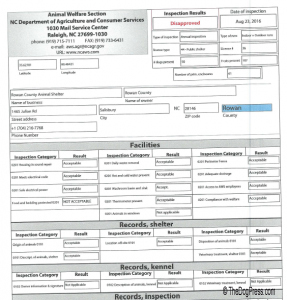 Don't be shy about asking for copies of inspection reports, euthanasia rates, how many intakes receive veterinary care, and if they track recidivism rates. If the shelter or animal rescue seems to be genuinely for the animals, thank them and donate whatever you can – cash, pet food, crates, tables, etc. It is only through the concern and action of caring VOTERS who speak out that bad animal shelter managers can be dismissed and replaced. Pay attention to who your community leaders and politicians are in 2017. Part of the responsibility for such agonizing shelter cruelty belongs to you, the tax-payer who supports your city or county animal shelter. Now the most successful sellers of purebred dogs. 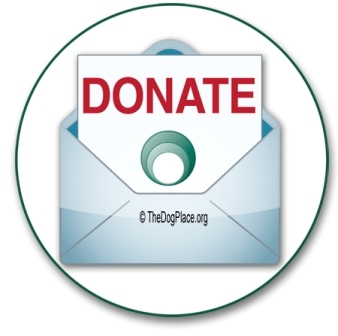 Methods used to trick dog owners into donating $millions! Unwanted pets dropped 6' onto black asphalt in sizzling heat.